The Bishop of Manchester, The Right Revd David Walker joined the WCHG board in April 2014. He has been a Housing Association board member since 1988, and his passion for social housing, urban regeneration and the wellbeing of tenants has also included being a member of the National Housing Federation Board and as Chair of HACT. He welcomes the opportunity to serve the people of Wythenshawe through the vision of WCHG. 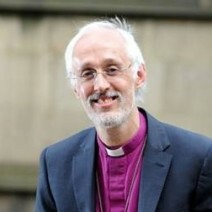 David has held the position of Bishop of Manchester since 2013 and prior to that he was Bishop of Dudley from 2000, following 17 years in assorted parish ministries and industrial chaplaincy in the Diocese of Sheffield. He is also Chair of the Advisory Council on the Relations of Bishops and Religious Communities and the Remuneration and Conditions of Service Committee and is a member of the ministry Council of the Church of England. He recently became an elected member of the Church Commissioners.